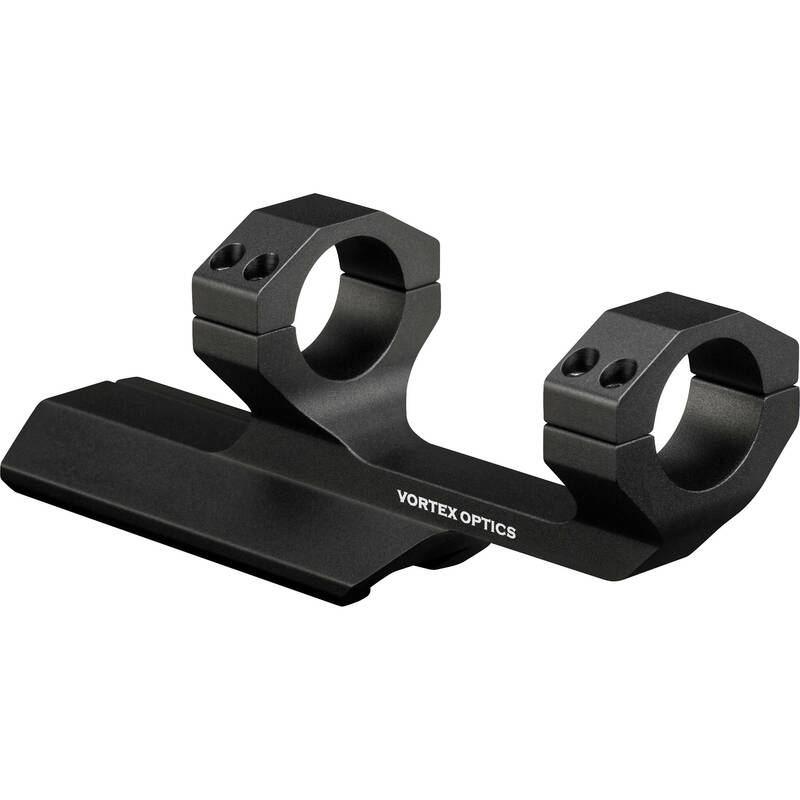 The Vortex Cantilever Mount with 2" Offset is designed for 1" sights and will move the scope 2" forward for proper eye relief and head placement on AR-15-style firearms. It features an aluminum construction and will fit Picatinny rails, also it will raise the scope center 1.59" from the base. Box Dimensions (LxWxH) 7.25 x 6.9 x 3.25"
Cantilever Mount with 2" Offset is rated 5.0 out of 5 by 2. Rated 5 out of 5 by Anonymous from Solid I bought this with a Vortex scope for hunting with an AR and have no complaints at all. It's held on through two seasons and kept zero when unmounted from the receiver. Rated 5 out of 5 by Robert W. from Great mount for AR-15 This mount works well with the AR-15 for proper eye relief. Very well made and comes with the Vortex VIP warranty. Highly recommended. Do i need screws with this mount? You would not as the screws come with the Vortex Cantilever Mount.